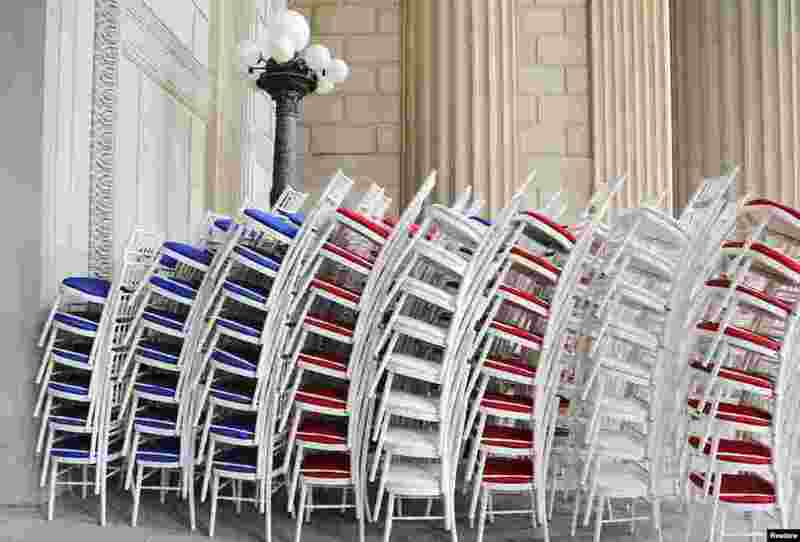 1 Red, white and blue chairs wait to be deployed at the National Archives ahead of the Fourth of July Independence Day observance in Washington, D.C., July 3, 2013. 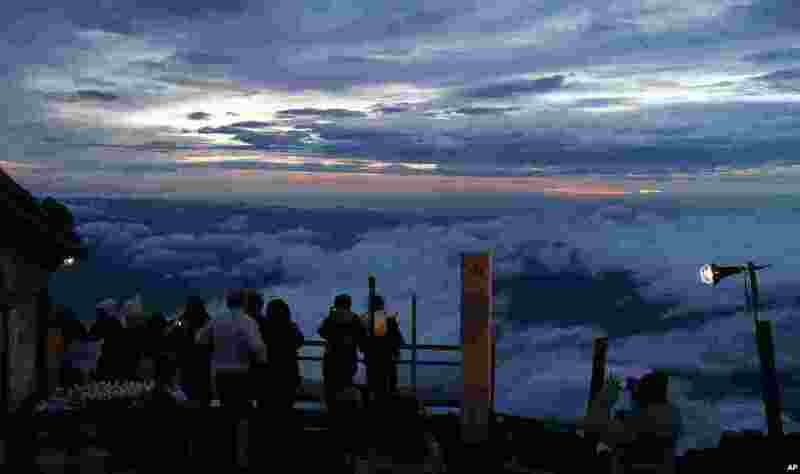 2 Climbers view the sunrise in early morning on Mount Fuji in Fujiyoshida city, Yamanashi prefecture, Japan. 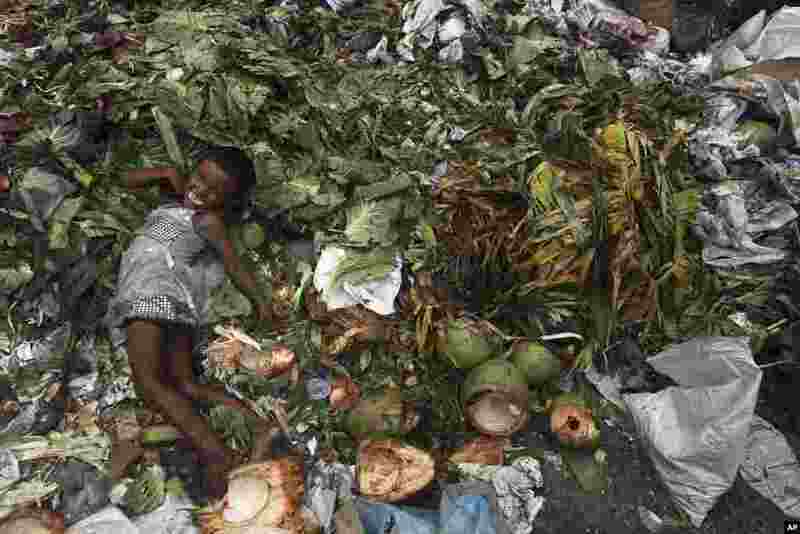 3 A child plays at a garbage dump near a market in Gauhati, India. 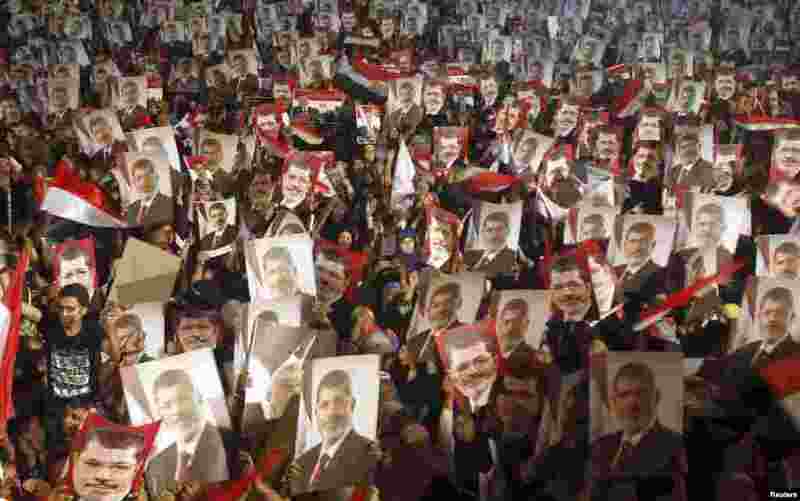 4 Members of the Muslim Brotherhood and supporters of Egypt's President Mohamed Morsi hold pictures of him as they react after the army's statement was read out on state TV, at the Raba El-Adwyia mosque square in Cairo, July 3, 2013. Egypt's armed forces overthrew elected Islamist President Morsi and announced a political transition with the support of a wide range of political, religious and youth leaders.